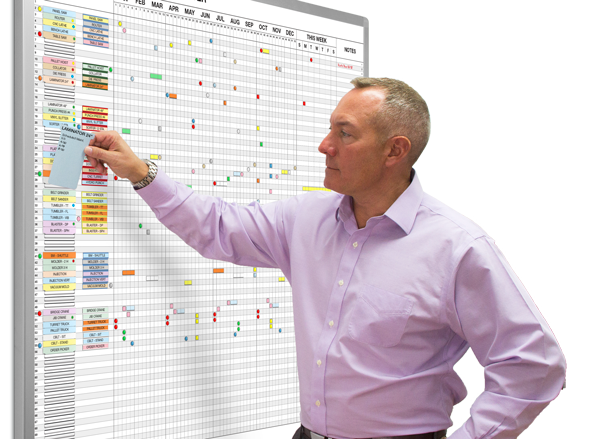 These magnetic whiteboard systems display maintenance work predicted, anticipated and planned instead of being reactive to down and emergency situations. The various field-proven board designs we offer here, including preventive maintenance on various timelines, prioritizing, performance pattern tracking, etc. cover a wide range of facility, plant and equipment maintenance needs. When you post the information on your wall to share with with your team 24/7, everyone gets involved in contributing to the success of your maintenance operation.